Ted Su “Kevlar” Straps: Response from Seller Outstretchedhands – I Already Have a Watch. UPDATE: Recent testing has confirmed there is no Kevlar® content in Divestraps straps. I never intended to pick a fight over these silly Ted McSu “Kevlar” straps with my previous posting about these things. I was even fairly disinterested in the fracas a few months back when others were taking Outstretchedhands to task about the supposed “Kevlar” in the straps. When apparently identical Maratac Elite straps were released at 1/8 the cost I thought that pretty well settled the matter and I would just be able to share a bit satisfaction in reporting on the postmortem. As I see it even still, the problems and shortcomings were fairly self-evident months previously. Thanks for the note, but I don’t quite know where to begin addressing all this mess. It might be more convenient to just subscribe to the RSS feed to save yourself the trouble of saving posts. I can’t tell what you mean here, but I’ll presume you mean “libelous.” Libel is the reporting of false information as truth in an effort to defame. But just because you don’t like what is written it doesn’t mean it’s libelous. More importantly, in most every modern jurisdiction truth is an excellent defense against libel. If however you mean “liable” (libel and liability are vastly different legal concepts) as might be indicated by the subject header, I haven’t been incurring much liability lately by infringing on registered trademarks or mis-advertising dive watch straps and selling them at exorbitantly marked up prices. Good luck with that. No one will be fooled into thinking you were not manipulating the watch communities by shilling them in forums; it’s insulting to the entire collector community for you to continue to maintain as such. One of your very first posts on MWR in December 2007 highlighted the straps no one had heard of previously. Would you have us believe it’s but a coincidence that you’re a strap seller and the sales forum listings hawking the straps began shortly thereafter? You’ve been banking on collector naiveté too long. It’s probably advisable to determine whether or not a product contains a specific trademarked brand name material before advertising it as such, especially when using it as a justification for jacking the price up. I’m very glad to hear that the mysterious Ted Su himself has personally re-affirmed the composition. I’ll certainly sleep better tonight, because I was really worried about that. The reassurance is heartening. But inquiring minds still need to know: who or what is a Ted McSu then? And you’re the seller – why should your customers have to “go to him for the exact construction” when you’re the one selling them the straps while claiming that they’re Kevlar®? Perhaps you’ve been duped by your supplier about the materials composition, but the straps in question are not made of Kevlar®. Having spent a considerable amount of time in and around various items made of the stuff, I have seen firsthand with absolute certainty that it’s tough, stiff, durable stuff. It’s extraordinarily difficult to cut notches or punch holes in Kevlar. I once nearly ruined a drill trying to put a hole in a Kevlar® helmet. If you were sending Kevlar® to your customers expecting them to punch holes with household tools you’re doing them a enormous disservice. Except they’re not Kevlar® so it’s of little consequence. Maratac Elite (left) and Ted Su "Kevlar" (right). What are the supposed "obvious differences" again? Photo: Guido Muldoon. Of course I referred to you and your “company.” You’re the one after all selling these straps advertised as Kevlar®. Would you have me refer to someone else? Alter or remove the post? Alter or remove your straps – they’re the problem. You really want to shut me up and put the matter to rest? If you can manage to (and if it’s really Kevlar® you’re going to have a damned tough time of it), cut one of your straps open and show us how the insides are different from the Maratc Elite. Broadarrow.net has already volunteered to sacrifice one for comparison testing. Or send one off to a qualified authority for lab testing to see if there’s any Kevlar® in it or not. If you can’t find a suitable authority, send one to me – I live within 20 miles of two of the best university textiles engineering labs in the world. Prove that they’re worth the US$140 premium you charge for the Ted McSu “Kevlar” Dive Straps. Tagged with divestraps, kevlar, outstretchedhands, Straps, ted mcsu, ted su. for exposing this sham for what it is. 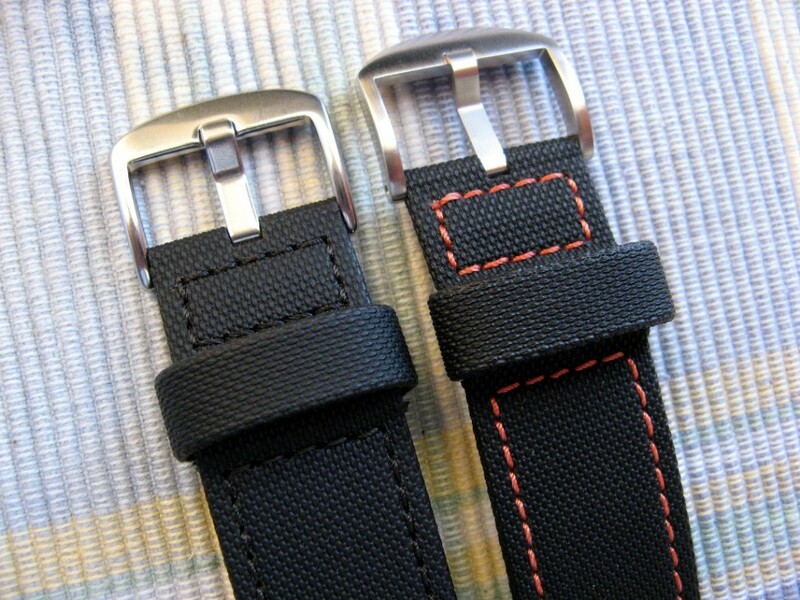 It seems most sellers of straps have a lot in common with used car salesmen. It is really hard to find an honest one. This crap about Kevlar straps has been discussed off and on for at least 8 years. 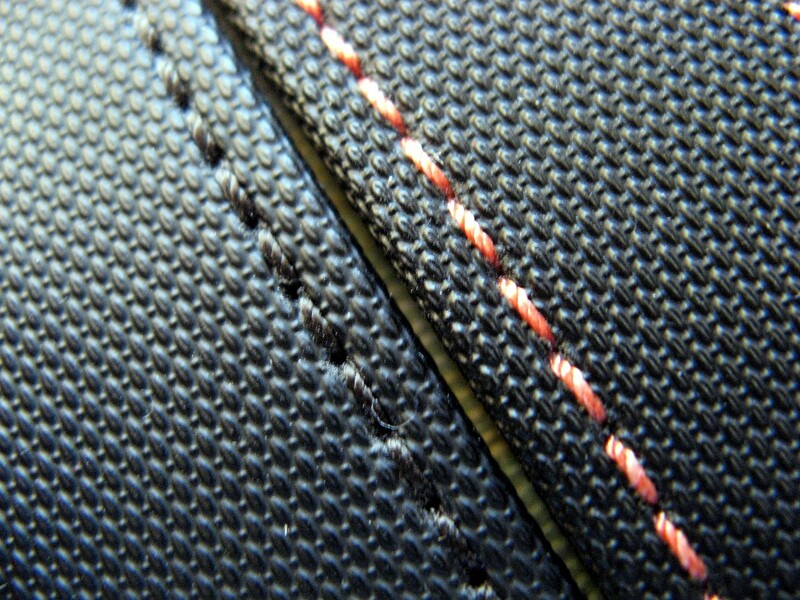 I think one seller even claimed that 1 thread of Kevlar made his a Kevlar strap. Only DuPont produces Kevlar . They own it lock stock and barrel. Kevlar is not a generic word. Customers and distributors are required to have a written license agreement with DuPont in order to use the Kevlar® logo on their product labels, hang tags, packaging, shipping containers, promotional material, and advertisements. Contact DuPont and ask them. I just don’t have the time to do it. Used car sales are flat, so I am going to be busy selling straps. I think divestraps has gone “out of business” and my 56 dollars for a rubber bracelet with them. I have been in the business for twenty years and I have never seen a legit Kevlar strap! Never! I know some of the suppliers personally!